Special equipment for use by fire brigades and the civil protection. Especially suitable for tough requirements and easy operation. 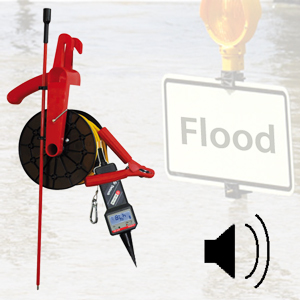 Special voltage tester for flooded cellars, maintenance shafts and industrial plants. The Memory function allows checks out of sight. Easy handling and guarantee fast operational readiness. 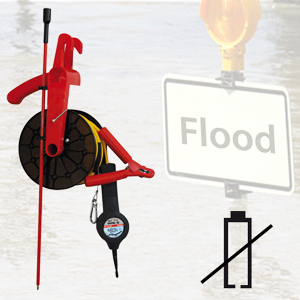 Special voltage tester for flooded cellars and industrial plants. Easy handling and the maintenance-free concept without battery guarantee fast operational readiness. 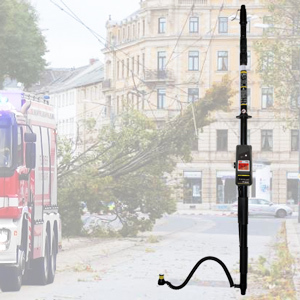 Special Telescopic Voltage Tester for quick and reliable testing of overhead lines on trams, trains, uninsulated cable of street lightings and low-voltage overhead lines.